The hedge fund with a college attached to it is primed for a turnaround. It’s Harvard. 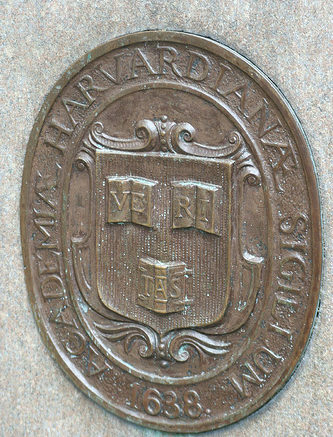 The $37 billion hedge fund is Harvard. More specifically, I’m referencing Harvard’s endowment. When Harvard announced yet another management change last year, I was skeptical. It seemed to me that Jane Mendillo inherited a mess created by an intellectual mercenary (who left his next employer under undesirable circumstances as well). This began a management carousel ending with N.P. “Narv” Narvekar most recently taking over as CEO of the Harvard Management Company (HMC). Reading the latest endowment report, I think Narv might be able to turn this thing around. He is looking to improve HMC’s culture, structure, and incentives. Culture is difficult to change in any setting, especially after so much turnover in management. Narvekar wants to build a singular team rather than insular tribes. Getting buy-in from people who have seen several leaders come and go will not be easy. Narvekar does have an advantage in that he is also able to change the structure and incentives of the team, possibly creating a feeling of a fresh start. Moving from silos to a generalist model is a huge move. Silos create a sense of ownership and specialization, but can hinder portfolio construction efforts. Narvekar cites unnecessary duplication and wrong sizing of positions as past mistakes using this model. A generalist model will allow for executing not only the best ideas, but using the best vehicles to access those ideas. For example, if each silo had identified Emerging Markets as an overweight, the portfolio might end up with an allocation to EM debt, equity, and timber. Under a generalist model, EM would be identified as an overweight and the team would give input on how to allocate. If owning EM stocks is the most attractive option, why own the debt and timber? With all the teams working together, the portfolio doesn’t have to hold them all which allows proper sizing for other ideas. Changing the compensation to take into account the entire portfolio seems overdue. The focus on intermediate-term (5 year) time frames takes some pressure off of the team in the short-term while maintaining focus for the long-term. This is the sort of incentive structure we like to see in our money managers and it should be a positive at HMC, too. It’s always interesting to hear top-tier investment teams talk about risk and this year, Narv dedicated an entire section of the endowment report to Risk Framework. Their view of risk aligns with their shift to a generalist model, viewing it from a portfolio level rather than micro-managing it. What stood out to me in the risk discussion is a departure from a “we’re the smartest guys in the room” mentality to a more humble focus on results. Instead of forecasting short-term asset class returns, they will work from long-term assumptions. My favorite line in the entire report is “we have grown highly skeptical of optimizations.” We have too, Narv! You can make the efficient frontier say whatever you want if you feed it the right numbers. No one has the right numbers. Narvekar slipped in an epic humble-brag at the end: “While at Columbia, it was a proud moment on two separate occasions to have the highest ten-year return of any endowment, despite taking less risk than many. That being said, I also consider it to be of limited relevance.” Before you get the idea that Narv is just another finance nerd, he lets you know he’s the biggest dog in the yard! Implementing all these changes and making them work will take some swagger, too, I guess.